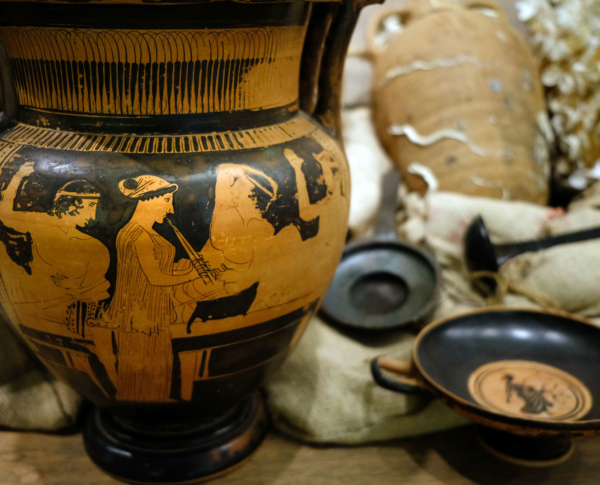 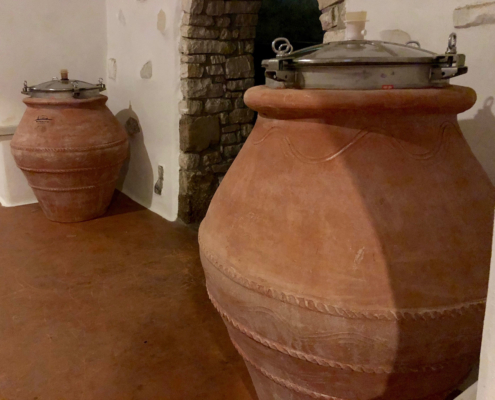 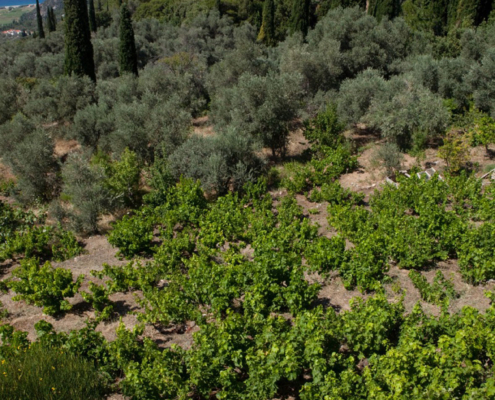 Greek terroirs play a key role in the shaping of a wide range of unique wines. 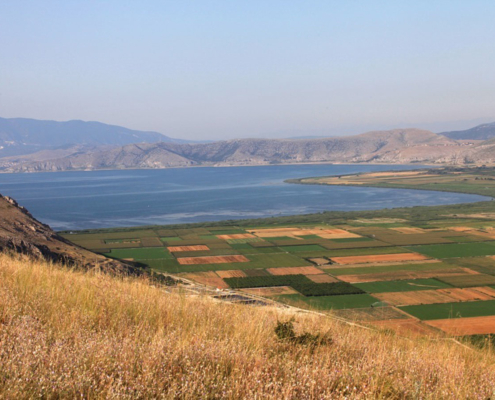 They are divided into four broad categories: Mountainous and semi-mountainous, Coastal, Continental and Volcanic. 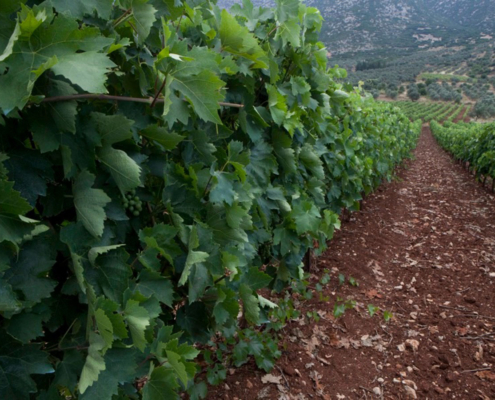 The mountainous and semi-mountainous terroirs are the most common in Greece. 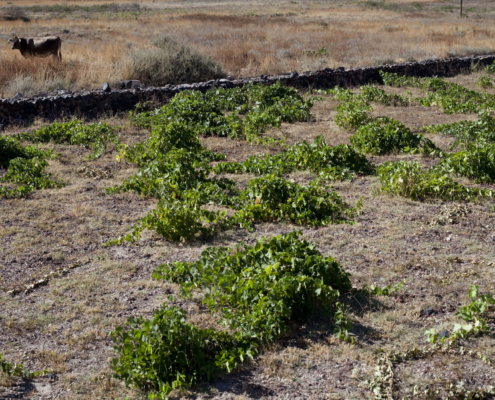 These are the best endowed, due to the country’s hot and dry climate. 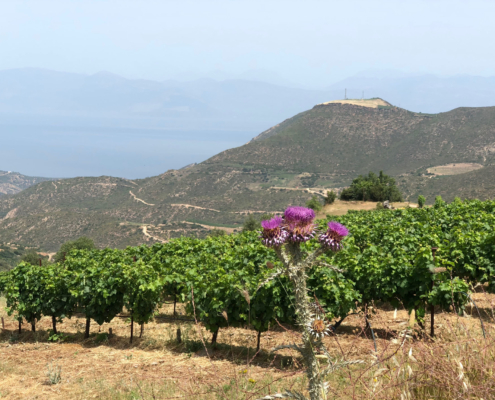 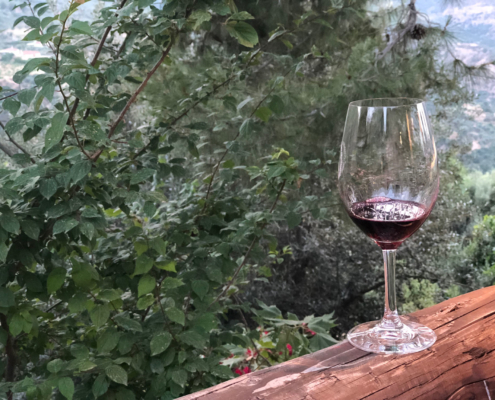 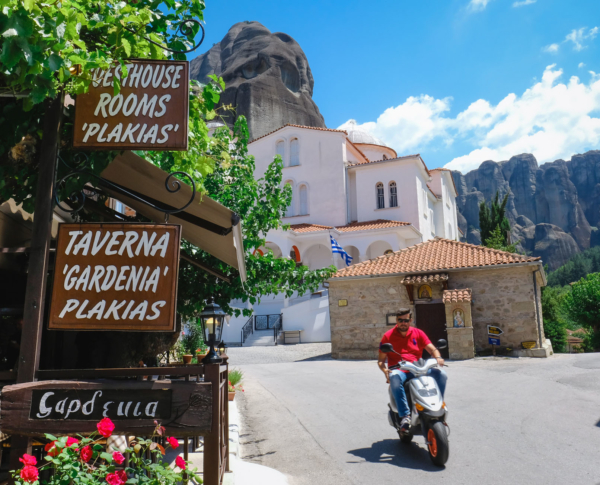 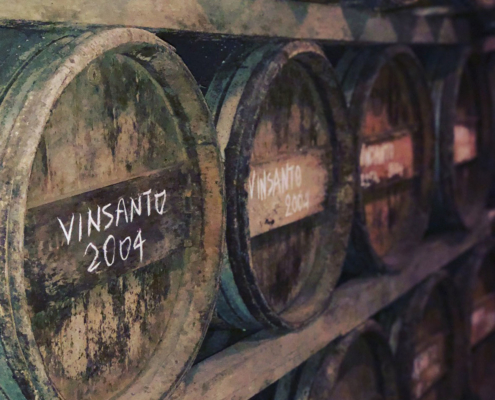 By and large, the Greek areas producing wines that carry a protected designation of origin (PDO wines) label are situated in semi-mountainous and mountainous areas where the terrain is either smooth (plateaus) or inclined. 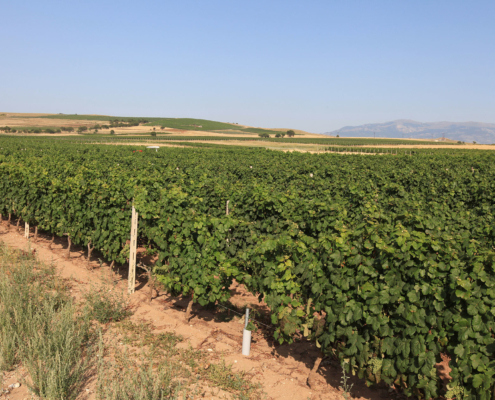 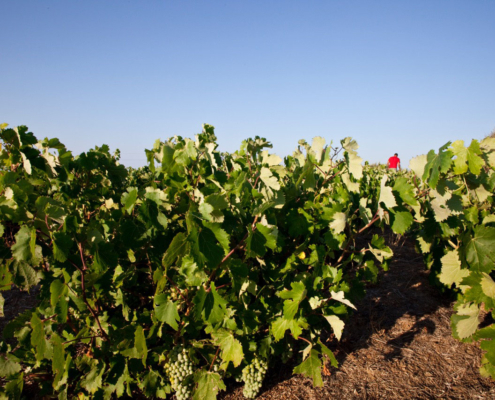 In the first instance, the vineyards are planted in deep soil of alluvial origin, while in the second instance, the growing soil is shallow and poor. 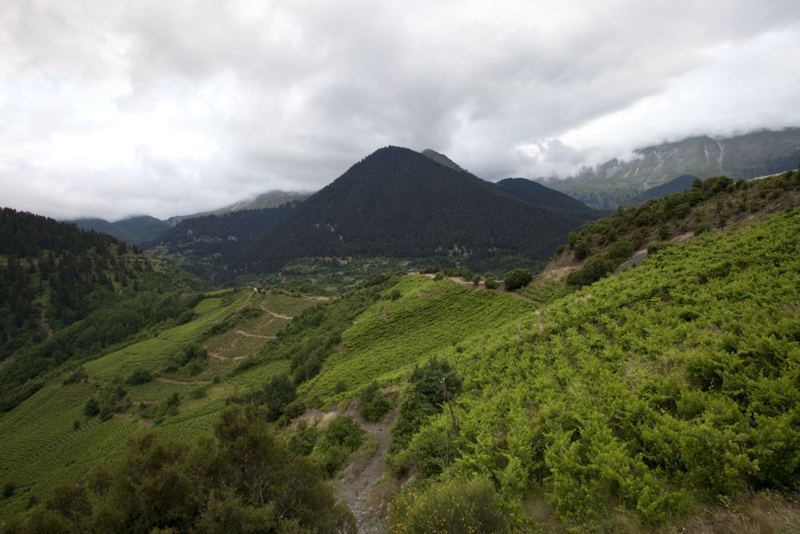 Characteristic examples of vineyards in mountainous areas are those of Amynteo, Zitsa and Metsovo, and Achaia (slopes of Egialia). 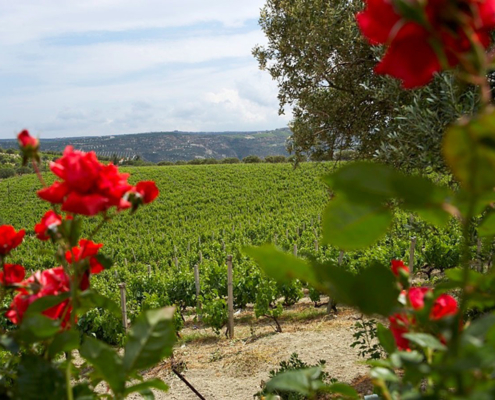 Parts of the zones of Samos, Nemea, Peza, Cephalonia and Rapsani are also included in this category. 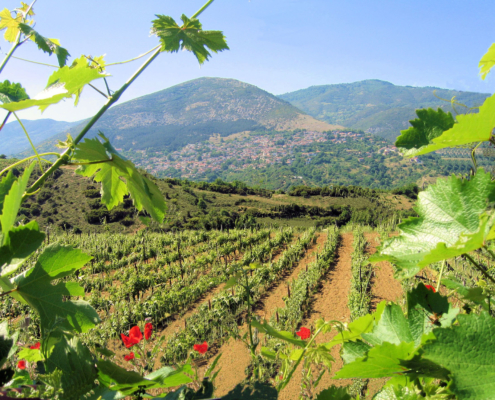 Most of rest may be described as semi-mountainous areas. 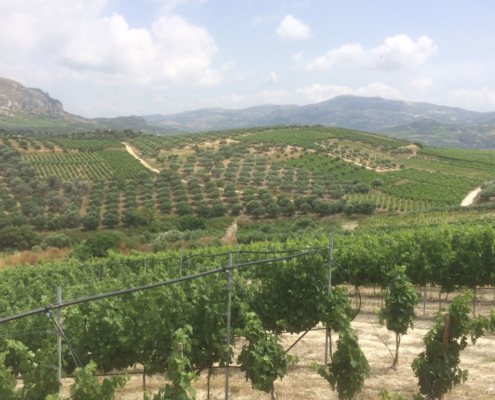 In the mountainous and semi-mountainous terroirs, average daytime temperatures drop by about 0.5 to 0.9°C per 100m, causing differentiations in the climate. 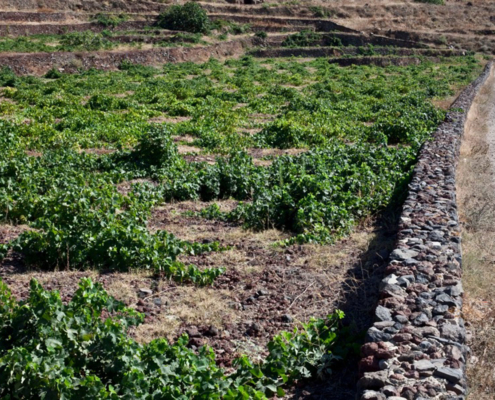 The result is localized climatic conditions (meso-climates) favorable to the successful adaptation of a wider range of cultivars. 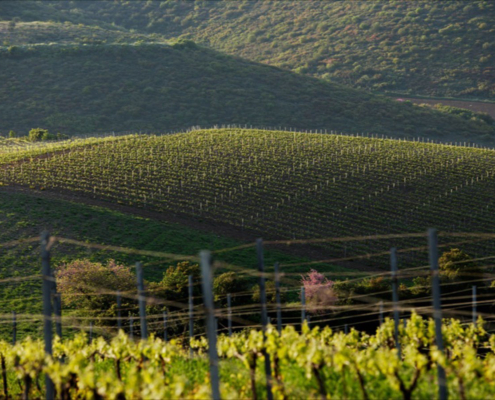 When it comes to sloping vineyards, another important factor in their well-being is their exposure (slope aspect) to sunshine. 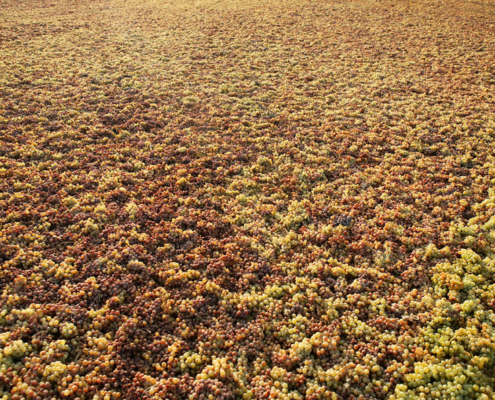 Under Greece’s climatic conditions, exposures of a southern orientation are normally avoided as they subject grapes to overheating. 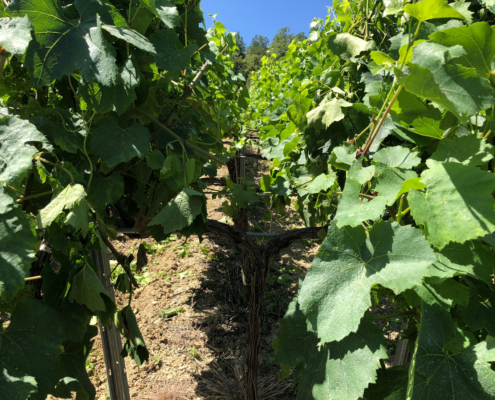 Mountainous and semi-mountainous terroirs, particularly in warm climates, have the important advantage of a more moist environment, due to a smaller loss (through evaporation and transpiration) in soil moisture and higher cloud concentration and rainfall. 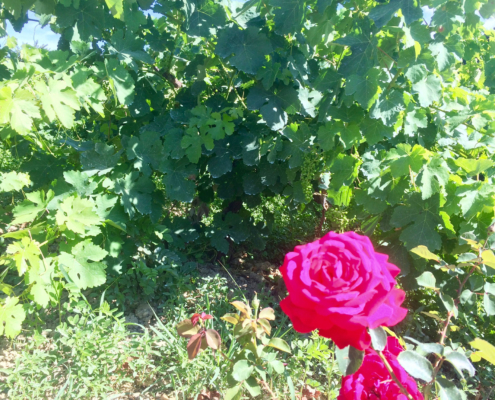 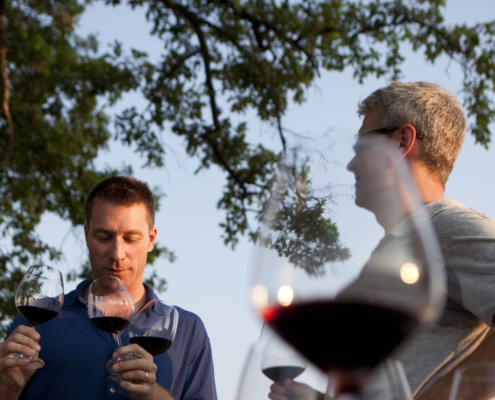 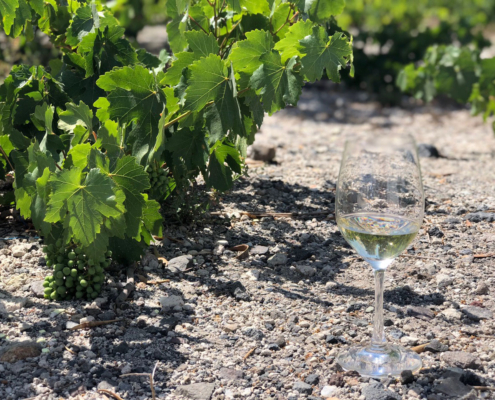 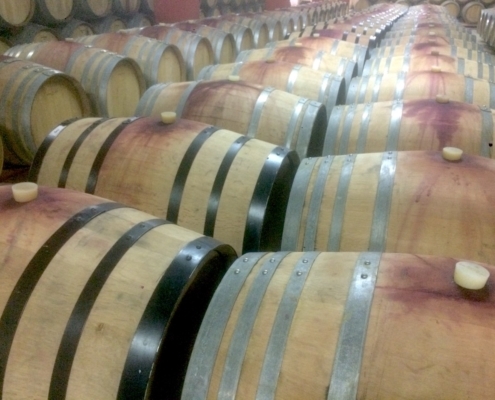 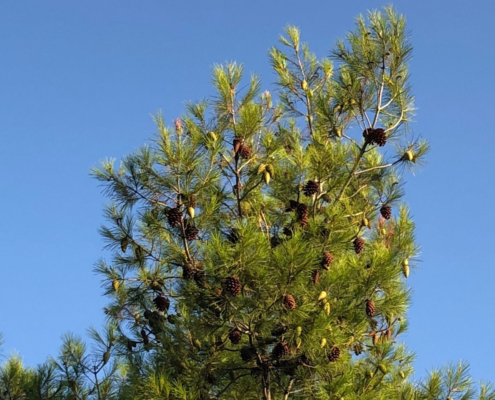 They also benefit from midday and night breezes from the mountains and valleys which revitalize the vine stocks and contribute to their normal growth. 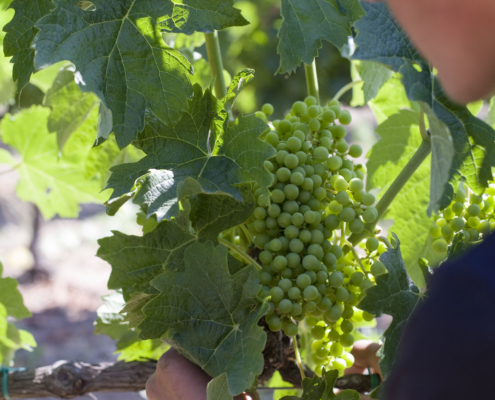 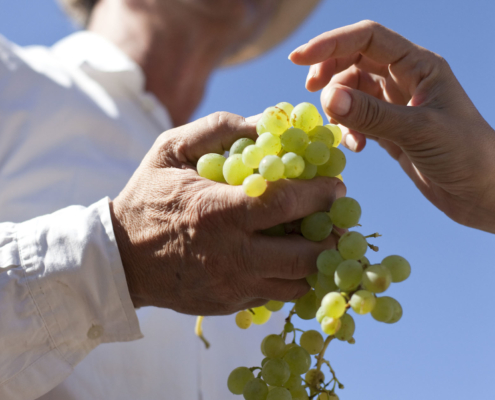 Such conditions facilitate ripening and the optimization of the range of cultivars, and allow for better conditions in handling the grapes during the stages following their initial harvest. 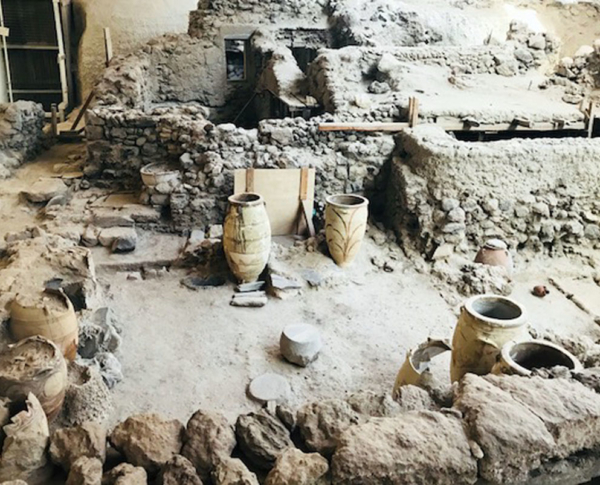 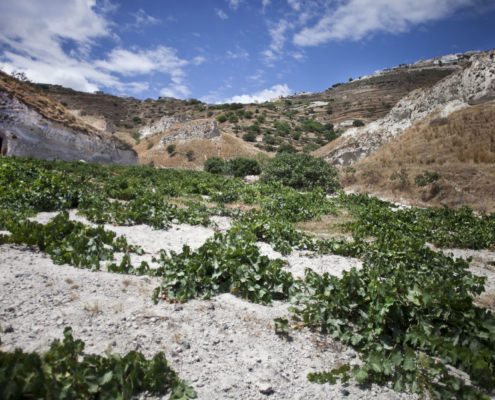 Greek volcanic terroirs are found mostly in the vineyards of Santorini, where vines are planted on a white layer consisting of lava, Therean ash and pumice, whose depth varies from 30 to 50 meters and has been deposited there by the successive eruptions of the volcano through time immemorial. 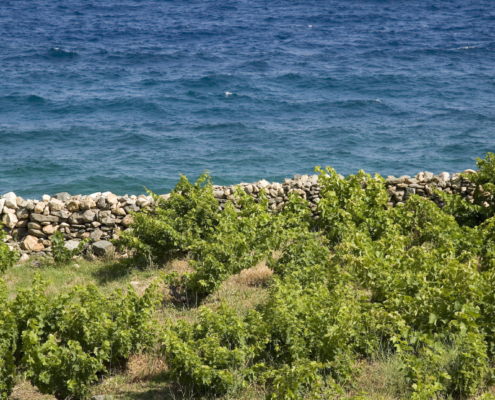 Vineyards have been planted along the endless stretches of coastline in both continental and island regions of Greece since ancient times. 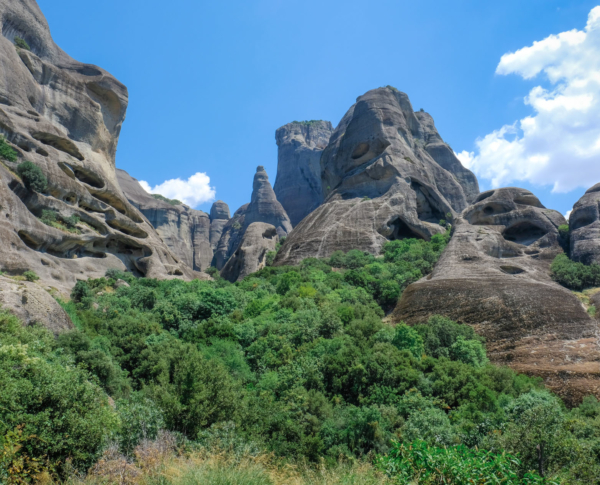 By and large, the climate of the Greek geographical area is typically Mediterranean.